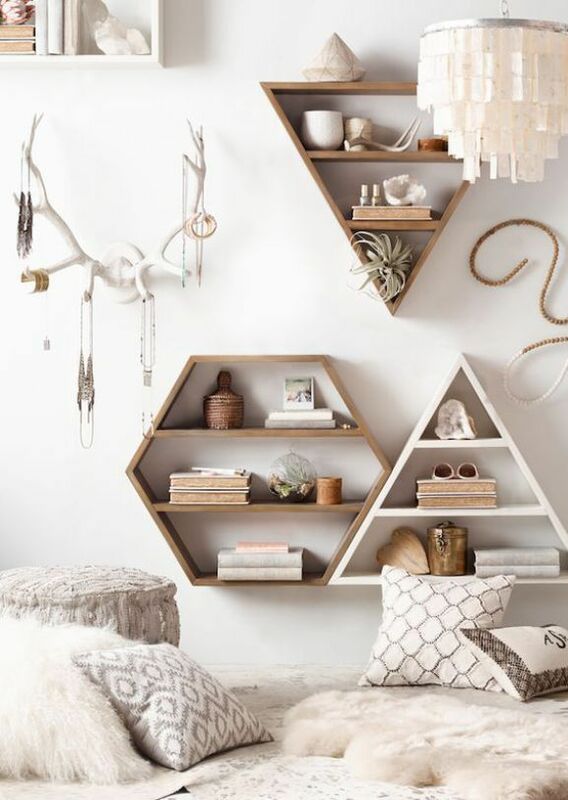 12 | Via: ProjetUAllGorgeous! Here, the light tones on the abstract prints stand out against their neutral backdrop. Rich furniture textures seem to complement the artwork rather than the other way around. A sophisticated spin on a classic cabin feel –woodland details and cozy accessories create a warm, welcoming look. 10 | Visualizer: Gutarev Vlad A great example of a print that matches both the aesthetic and the attitude of a room – it’s youthful, fun, and playfully aware. Nobody can frown near a pop art likeness of SpongeBob, right? We look at 30 extraordinary bedrooms that use textures to great effect. 30 Inspirational living rooms that show off awesome textures. 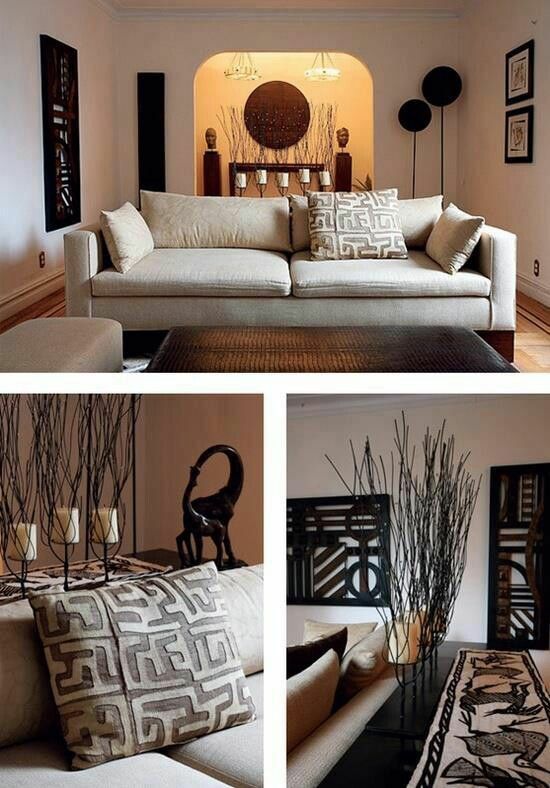 27 | Visualizer: Ricardo FerreiraSuch an interesting living room! The interior-themed artwork adds a layer of meta awareness that makes its presence quite novel. 3 | Visualizer: Julia BorisenkoHere a mixed-media canvas plays into the structural interior features, like the transition between darker and lighter wood between the living room and kitchen. Gray highlights draw attention to the textured wall and deconstructed forms contrast against the straight lines of the furniture. Bedroom feature walls to glam up your headboard! Swirls and florals, murals and papers gathered to get your imagination flowing. 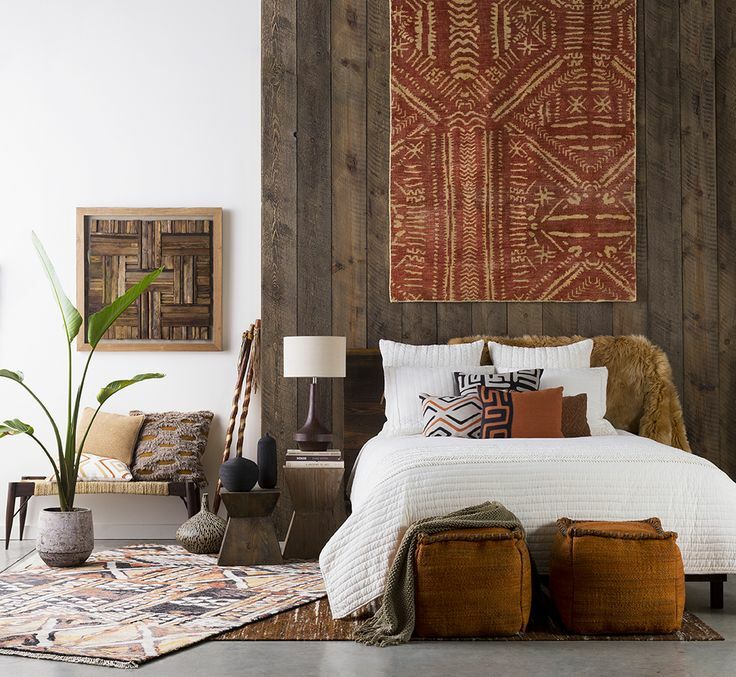 Natural material themes are always welcoming – a wonderful choice for bedroom walls. Stunning examples of modern wall art, and how introducing it to your home design can work wonders. 24 | Visualizer: KoneksignAt the end of a long open floor plan, a colorful pink and blue painting gives the eye a place to rest and focus. 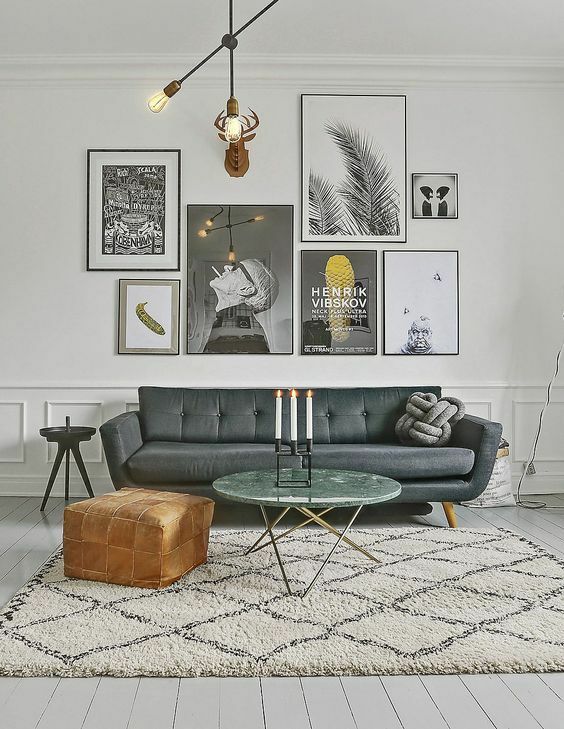 5 | Visualizer: Innovattio ArchitekturaPhotographic prints lend themselves well to this eclectic living room interior. A monochromatic art collection is less complicated to work with, easily adaptable to any style. The unique floor lamp you see here is Solveig by designer Avril de Pastre. 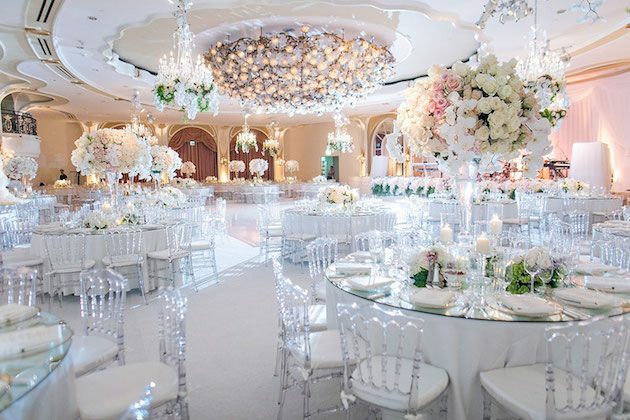 20 | Visualizer: Denis Melnik Ever wondered how to coordinate an interior around two very dissimilar art styles? 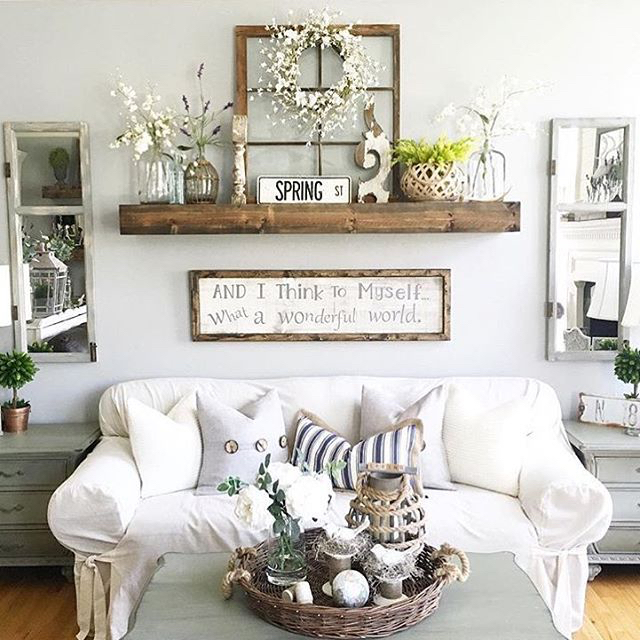 This space provides welcome inspiration. It’s an eclectic interior but pulls together around the ambiance of the artwork chosen. Adorn your space with eye-catching pieces that speak to you. 8 | Visualizer: Sequoia design studioIn this interior, classic materials and furniture play against a dramatic industrial background enhanced by modern pop art. 14 | Via: WallozaAlthough this living room has a solidly-defined color theme, the bright rainbow sofa pillows completely change the overall look. 11 | Via: Gutarev VladA great example of a print that matches both the aesthetic and the attitude of a room – it’s youthful, fun, and playfully aware. Nobody can frown near a pop art likeness of SpongeBob, right? 26 | Visualizer: Le AnhA patchwork miniature bulldog brings out all of the most delicate patterns used within this chic blue-toned interior. Even without the sparing accents, the artwork would still stand on its own as a charismatic focal point. 15 | Designer: Azam MohamedThis living room switches up the common aesthetic of paneled walls and smooth artwork in favor of paneled artwork and smooth walls. 32 | Visualizer: Svyatyuk StanislavAnd a look at our last interior – this warm hued painting pops out among the cooler greenish-gray tones that make up this modernistic living room. 31 | Visualizer: Javier WainsteinWhere a television would normally stake out its territory, a dramatic black and gray painting makes its mark instead. Its weighty tone draws the eye immediately. Hand-crafted iron décor makes a subtle industrial statement. What happens when artwork takes center stage in a home? Rather than adding art as an afterthought, even a single favored piece can easily serve as a perfect anchor for the rest of the room. The following images explore a variety of ways to make home artwork serve as more than just a focal point, but as a unifying feature within an interior design. The techniques employed here are clever and diverse: some of these interior artwork ideas perfectly complement the color palette, others unify the design theme, and some enhance the character of the structure itself. 2 | Visualizer: Andrew SokrutaThis bold painting stands in contrast with the sharp and precise angles of the tables to great effect. 17 | Via: ApplicoAn unforgettable interior style – this living room pairs a full wall mural with a floor so polished it reflects its surroundings like glassy water on a calm day. This is a thematically comprehensive interior for those dedicated to art but who have a separate space to display individual pieces. 22 | Visualizer: Razvan Barsan + PartnersThis living room does away with traditional conventions altogether. A dramatic impressionist ship joins a group of carefully arranged frames on the right, with functional wall art in the form of a clock to the left. 18 | Visualizer: Pivot StudioStriking but not overwhelming; this choice complements the aesthetic of the resident’s book collection but stands alone as a fine piece to appreciate. Kids bedroom walls offer endless potential for fun design experimentation. Here’s nearly 2-dozen examples. 21 | Visualizer: Ricardo FerreiraPlayful pop art prints featuring Michael Jackson offer a charming response to this rustic-meets-industrial living room theme. The metallic chrome swing arm wall lamp adds a hint of luxury to the space as well. Create depth and dimension by adding a mat to a framed art piece. 28 | Visualizer: Bray ArtistPortraits with fluid organic lines compliment the curved shapes found in the table, rug, and potted tree. Sharp geometric forms stand in contrast. 6 | Designer: Nikita RyazhkoA sketch of Steve Jobs joins a stunning abstract ink print, both with organic influences to balance out the strict geometric theme used throughout this living room. 1 | Visualizer: Aurélien BRIONColor matching often proves to be the most straightforward way to incorporate artwork into the home. 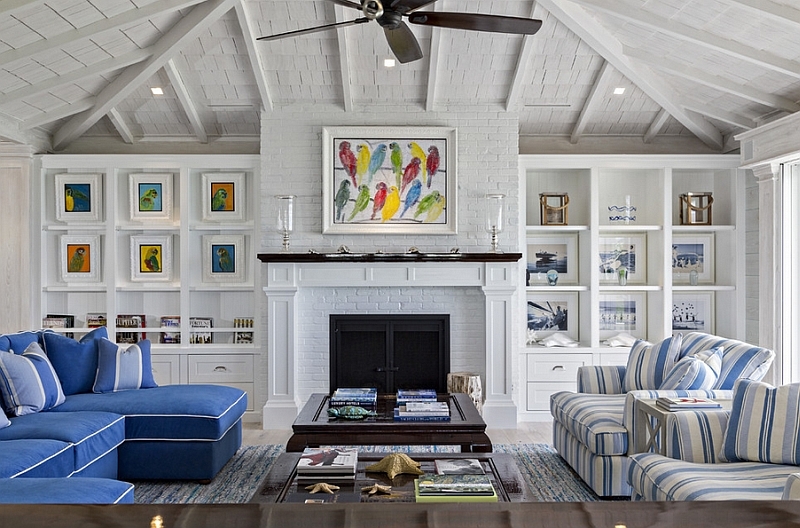 This space benefits from neutral basics, with the colorful accents easy to change out in case the artwork changes. 7 | Visualizer: ARTSTUDIO Design Light and shadow provide the overarching theme in this apartment living room – and the stunning artwork in the background enhances the effect. Even if the image weren’t perfectly coordinated in terms of color, the theme itself would still help to carry the interior. 30 | Visualizer: Alla KoganDramatic, minimalistic, and perfectly coordinated – this large print does well to center the living space and blends seamlessly with the rest of the interior accents. 9 | Visualizer: Nicolas JOUSLINGrayscale themes allow the stark black-and-white artwork to pop out from the background. The tiny golden accent springs to life thanks to the pair of dandelion yellow chairs. 25 | Visualizer: Pavel PetrovPrimary colors aren’t the easiest theme for a designer to adopt. This painting defines the overall theme while the bright furniture accentuates the yellow accents. Paintings and illustrations are just one of the many ways in which you can decorate a wall. 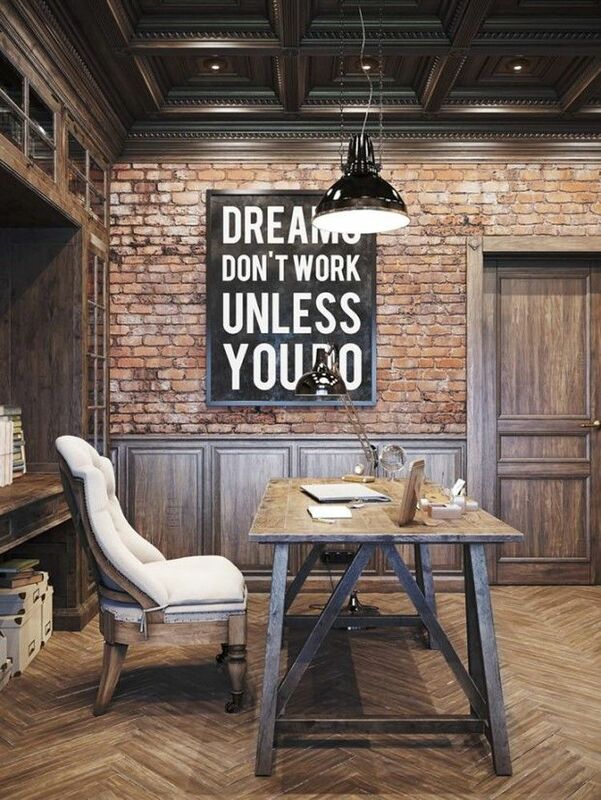 Do check out our feature on wooden wall art decor for more ways to personalize your walls. 16 | Visualizer: Anton KostetskiyDecorating an atrium or other tall room is rather difficult. While procuring a large vertical painting might prove difficult, the result is well worth the search. 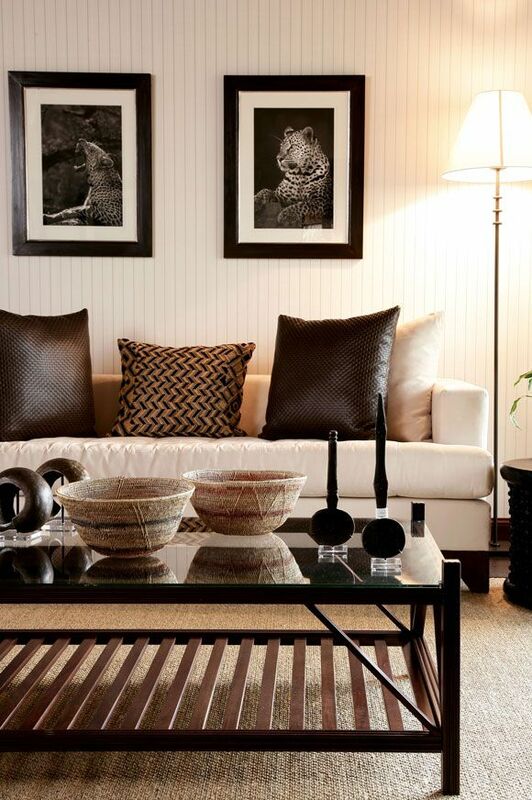 Incorporate rich textures for a look that’s stylish and cozy. 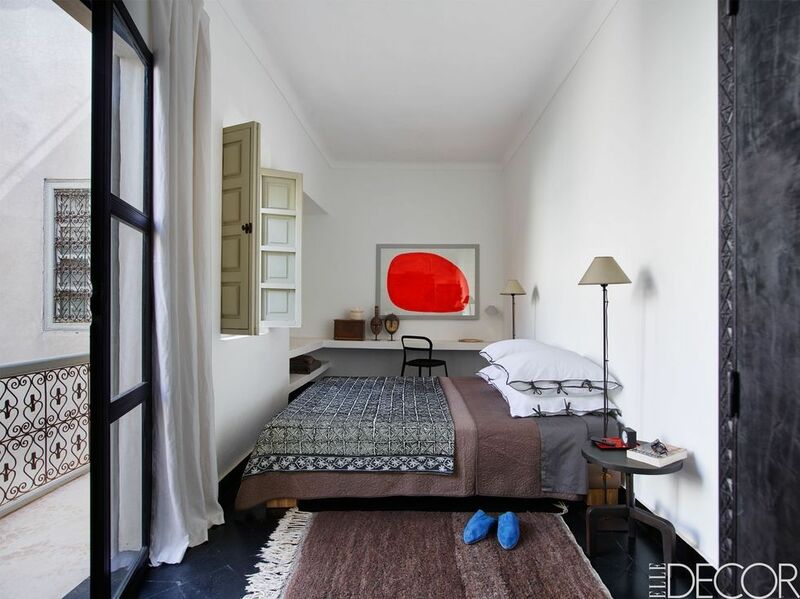 Beautiful art and home décor to revitalize and refresh your bedroom. 29 | Visualizer: AX2 StudioAlthough the painting centered above the sofa could certainly stand alone, its visual impact is enhanced by the natural wood tones and light brown accents used throughout the living room. 19 | Visualizer: Studio DEnewIn this living room, the artwork makes the first impression without a doubt. Colorful furniture complements the print without completely emulating its style or color palette. The unique coffee table made of wooden blocks seals the look. 4 | Visualizer: Adrian IancuThis home doesn’t base its interior around the artwork, but instead remains relatively neutral – a sort of blank canvas that accommodates any style the residents want to achieve. The single yellow pillow ties back into the overall theme. Create a room that glimmers with Art Deco accents. Shimmering, statement-making pieces and luxurious finishes elevate any space. 23 | Visualizer: Azovskiy & Pahomova ArchitectsBold and beautiful! The furniture continues the spectrum of color used in the floral wall art, rather than acting as a direct continuation. Thematically, the curvaceous furniture pairs well with the blossoms that thrive on the central volume. 13 | Visualizer: Azovskiy & Pahomova ArchitectsGorgeous! Here, the light tones on the geometric prints stand out against their neutral backdrop. Rich furniture textures seem to complement the artwork rather than the other way around.